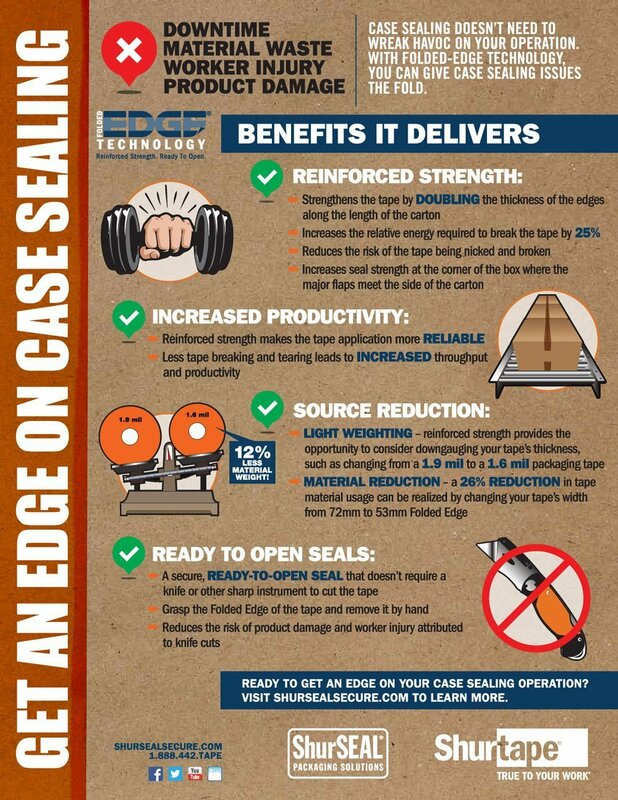 How can Folded-Edge Technology give case sealing issues the fold? The Sticky Truth is…issues like downtime, material waste, worker injuries and product damage can wreak havoc on your packaging operations. That’s why we offer ShurSEAL Packaging Solutions with Folded-Edge Technology. Folded-Edge Technology folds the edges of the packaging tape as it’s applied along the length of the carton, creating ready-to-open case seals that don’t require a knife – plus even more efficiencies for your packaging line. Check out the below infographic to learn more. Ready for us to show you The Sticky Truth - and how to fix it?